@FourFerralCats, she's AMAZING| Cat nut| Bird nut. Call me Nutmeg, Sparrow or just Parrot. OC-parrot is a bit long. Signing off, will be back tomorrow! Icon by me. 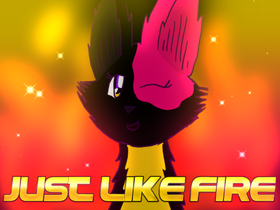 It's Nightfire, Ferral's OC for Shattered Shards! @FourFerralCats - She's awesome! Follow her!